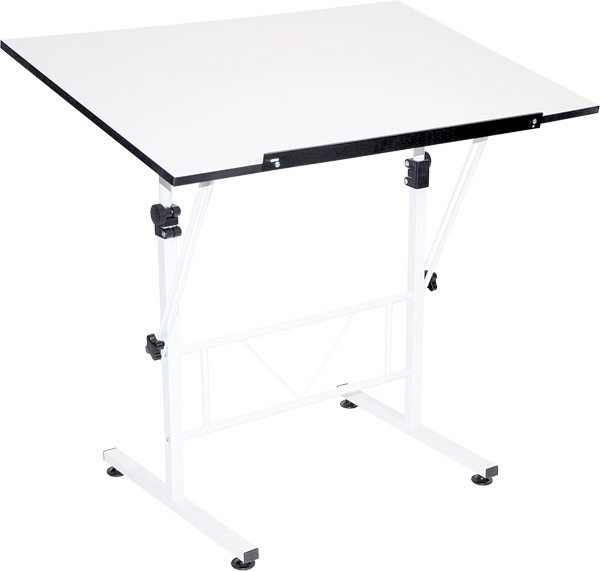 * Our Hobby and Art Drawing Table has a large 24 x 36" white laminate top with pencil edge. * Easy tilt able top for multi-use. * White enamel base of steel. * Cross-braced frame with foot levelers for stability. * Easy grip knobs enable adjustable height (27.5" to 32") top surface fits youth to adult. 44" x 27" x 4"